Explore the sounds and be inspired. 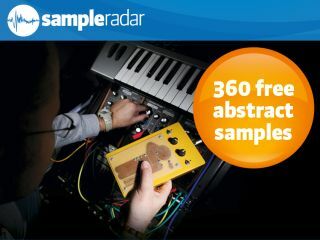 Welcome, once again, to SampleRadar, MusicRadar's new weekly giveaway of pro-quality, royalty-free samples. It works like this: we give you links to genre-specific loops, hits and multisamples, then you click them and watch the download bar fill up. We've already covered dubstep and techno, but this week, we're stepping left of field to bring you six collections of abstract samples. What does that mean? Well, they range in tempo from 90 to 150bpm, and each contains loops in Abstract, Atmospheric, High frequency, Low frequency, Melodic and Percussive folders. The best advice we can give is to dive in and explore these sounds. Some of them may not to be your taste, but others will inspire. The abstract collections are supplied as separate zip files, so you'll need to extract them before you can see the samples. Enjoy!